Gypsy All Stars & Stomping Grapes! Funiculì, Funiculà, Funiculì, Funiculà!!! It was so fun doing my own modern twerk take on that classic “I Love Lucy”grape stomping episode when I had the fabulously fun folks from the Feast of San Gennaro at the studio. Not only did my feet get a workout on those cold squishy grapes (it really was invigorating! 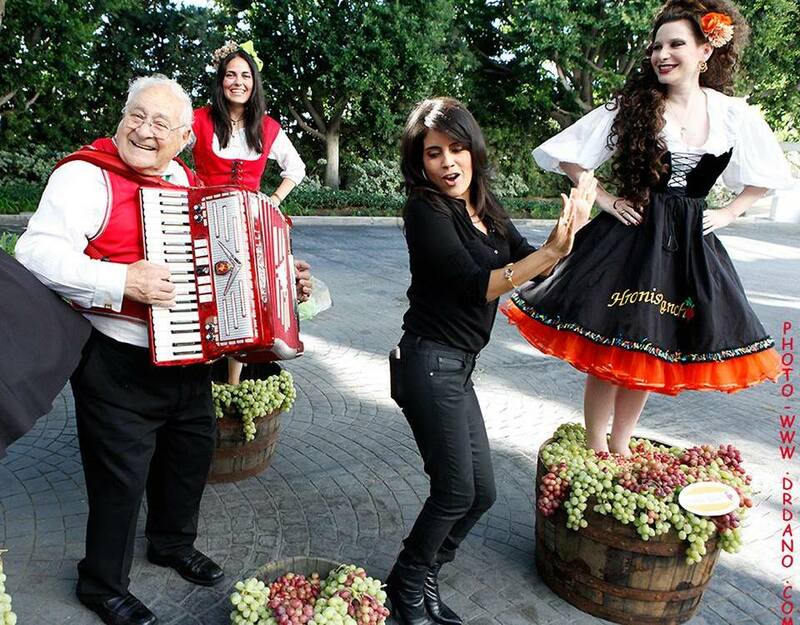 ), but I fell in love with Norm the accordion player. Adorbs! Speaking of culture, I brought back the Gypsy All Stars (with former members of the Gipsy Kings) who are starting their month-long residency at Hollywood hot spot Acabar. (That place is gorgeous!!! A must-see!) Their next shows are on Wednesday 10/2 and Thursday 10/3. This time around, Cedric (with his long hair and French accent) brought performers from the Indian deserts of Rajasthan to play with them. I insisted they play something upbeat and fun and they didn’t disappoint with “Ooh La La!” It was the Indian gypsies’ first time here in the States and I’m glad we were able to give them a warm welcome.